I read this for a book group, initially I was dreading reading a book about slavery as the subject is so awful and the stories so tragic and painful, but what I found was this was different, as although its gut wrenching sad in parts you have to go there and back for the high points and it's worth it. Hearing the voice of the narrator in the vernacular and how it is written is so rich and makes it so much more immersive in her voice. I felt reading about this subject which I haven't for very many years I learnt such a lot about the systematic mechanisms of oppression used in those times to exert control and the subtleties of prejudice. 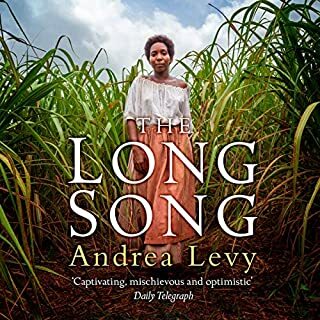 I will be reading more from Andrea Levy thanks to my book group Books that Bite with Claire Hadfield.